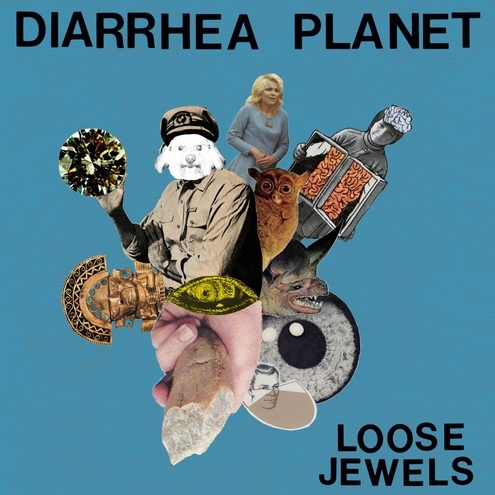 Today marks the official end of Summer and the release of Diarrhea Planet’s debut full length album, Loose Jewels. It’s a pretty exciting thing. You’ll have a few chances to catch them this week to help celebrate it’s release – so make sure you do that. For anyone who has been in Nashville for a while, you know there’s a definite stigma attached to the idea of a “Belmont band.” And, most of the time, it’s a pretty deserved stigma. 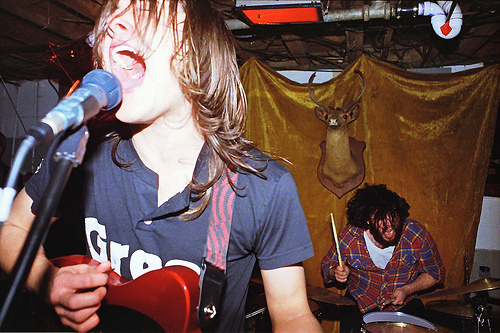 In the last couple years, Diarrhea Planet has played anytime and anywhere and continually blown everyone else out of the water. Pretty much crushing that stigma and ushering in a whole slew of bands that we probably wouldn’t have paid as much attention to. Just think of the bands that have popped up in the last while from Belmont: Dirty Dreams, Reid Magette, Evan P Donohue, Big Surr, Salamanders, New Pleasure, we could go on and on. We owe Diarrhea Planet a lot and so do most of the people in this town. They’ve changed things for the better and earned their way through preconceived standards that have stood in this town for too long. If that’s not something worth respecting or celebrating — we don’t know what is. Not to mention that Loose Jewels is a total ripper of an album. It’s an incredibly close representation of the band’s live show, so when you listen to the 11-song LP all the way through – you can feel the energy the boys bring when you see them in the flesh. That’s something most bands dream of accomplishing. You can grab Loose Jewels all over the place today: on the interwebs from Infinity Cat, at their free all-ages instore at Grimey’s Records at 6PM today, or tonight at The End when they’ll play alongside Chrome Pony, D. Watusi, Evan P Donohue, and Spanish Candles [Who also deserve a good bit of credit for tearing down the Belmont Wall — but that’s something to talk about for another time] It’s a week of crazy shows so let’s kick it off right today with Diarrhea Planet. See you there.